Rob coaches one to one on audition pieces, screen reels and with students preparing for examinations and the practical components for MA reels, showcases, A-Level, BTECH, LAMDA, TRINITY. Workshops are running Spring 2018 onwards, please contact for further details. What can you expect from the workshops and process? Psycho-physical play and exploration -' climbing out of your head and back into your body'. Drawing and penning our experience in the safe space. Reflection: listening and observing others: mapping the psycho physical experience. Text and devising: The symbiosis of the thought / feeling / action centres. Diary mapping the psychophysical experience and transferring it to role and character development. "I found this work to be like a breath of fresh air, to dive into pure emotion and to visit these places...."
"…Rob has an extremely creative approach to teaching Drama and his love & energy for the subject are boundless. He also infects his pupils with a love of acting and the theatre. He is a natural leader of young people and they respond wholly positively to him. He has very high expectations of each of his pupils and supports or challenges them sensitively in order to bring out a love of drama in them. Rob 's Acting Shakespeare adults’ classes for non-actors were also highly popular and inspiring. His gift for drama was very much appreciated wherever he taught in and around Barcelona." Audrey Reeder, The Olive Tree School, Sitges, Spain. We’ll send you all the latest news, class & workshop dates. 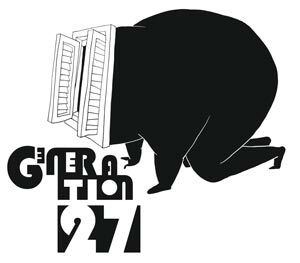 Generation27 is at the nexus of emotion and neuroscience in 21st century actor training. A revolutionary training technique touring Europe and SE Asia visiting workshops 2018/19.